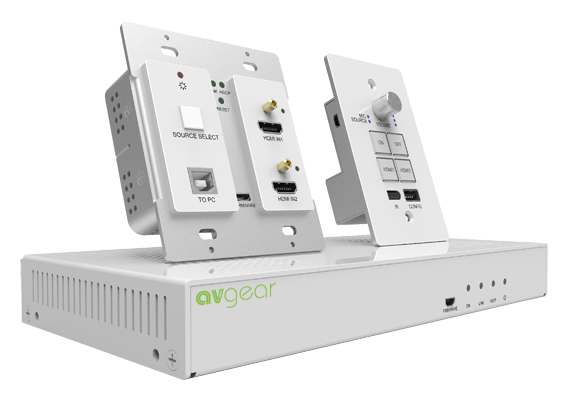 The AVG-K12 is designed to be used in education and commercial environments. The Kit consists of a Scaler Wall Plate HDBaseT Transmitter, an HDBaseT Receiver and a Control Panel. The Transmitter has HDMI and VGA inputs, which support HDCP1.4 and can be switched easily. It can transmit HDMI / VGA signals to the Receiver via CAT5e/CAT6a cable up to a maximum distance of 30m at 1920×1080@60HZ. 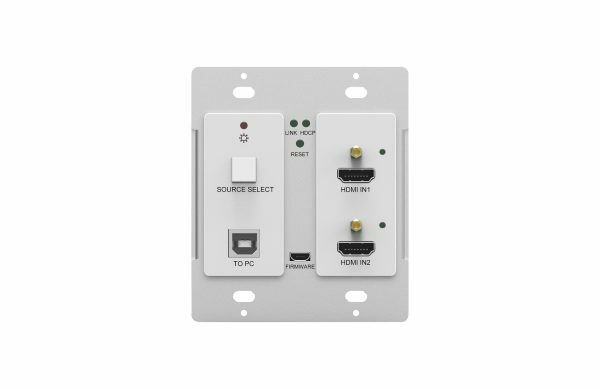 Switch easily between two source signals. HDMI/HDMI or HDMI/VGA. HDMI output resolution up to 1920×1080@60Hz. Microphone and line level input. Built in 2×20 Watt @ 4ohm amplifier. 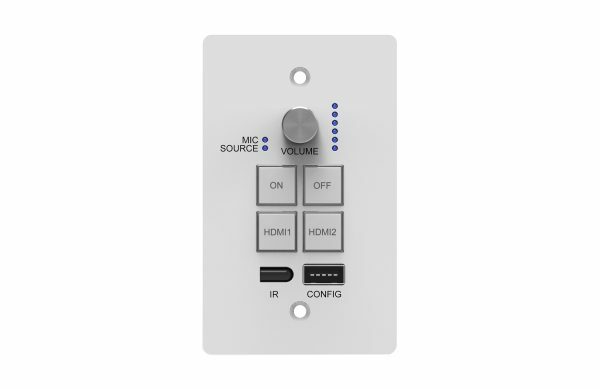 Customizable Control Panel supports IR Learning and RS232 control. Signal Extension Up to 30 metres @ 1080p/60 via Cat5e/6a cable.